Perhaps it is easy to say that working with college students is quite difficult, but at least there are advantages to certain other ministries. One such thing that comes to mind is youth ministry, where parents are almost always involved in the ministry because of the requirements to drive and especially to give permission for students to participate. But this has it’s advantages at times. But in college, we as ministers often forget that behind most of our students, at least one parent anxiously is hoping their student is experiencing college in a positive and healthy way. Furthermore, many parents still worry about the adjustment for students who are having to figure out how to manage school in an intense environment. 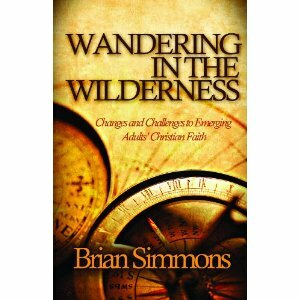 Brian Simmons, in his book Wandering in the Wilderness: Changes and Challenges to Emergin Adults’ Christian Faith has some help for all of us. Perhaps what I enjoyed most about Simmon’s final chapter of his book is his reminder to parents that the job doesn’t end when they send their students off to college. With almost 50% of students returning to home for at least a short period following their time at college, the launching period for students has become much more complicated than ever before. And with the economic situation standing as it is, there seems to be no end in sight for this new phenomenon. But how parents might be helped by us as campus ministers might be summed up in helping them to understand the changing nature of their child. I can’t tell you the number of times I have talked to students about how their relationship with their parents changes as they get further along in their education. One story comes to mind of a student who shared that her father recently began openly confessing how he felt guilty for not trusting his daughter while in college, even going so far as to confide in her about his own shortcomings when it came to parenting. When she and I had lunch, we discussed that this was just the stepping stone toward her father and her become equal partners in the life stage. Much can be learned from this encounter. First, the parent reaching out to the child and openly beginning the reframing of relationship in a non-confrontational way is helpful. Secondly, the student being able to healthfully respond without being completely freaked out is essential and is a part of the maturation process. As campus ministers, it is important for us to remember that for all the students we come across, there is a primary family relationship behind them. And without helping them to renegotiate those relationships, we might fall short of helping them be completely transformed as a part of the college journey.